Arrive transfer from airport & Check In at the Hotel. 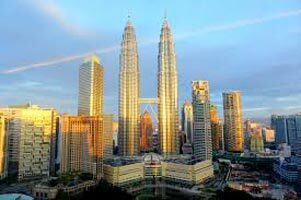 Then enjoy a Half-day Panoramic City tour of Kuala Lumpur on seat in coach basis. Kuala Lumpur offers a variety of historic sites and monuments, including the Jamek Mosque, the oldest Mosque located at the confluence of two rivers, King's Palace, National Museum, and you will also pass through the Parliament House, Supreme Court with its unique moorish architecture (Sultan Abdul Samad building), the Independent Square (Dataran Merdeka), before returning to the Hotel you will have a photo at the PETRONAS Twin Towers and drive pass the busy Chinatown. Enjoy buffet breakfast at the hotel. Then transfer to Sunway Lagoon. Arrive Sunway Lagoon located 15 mins from Kuala Lumpur is the ultimate destination you will have to visit when you are in Malaysia. Sunway Lagoon is separated into 3 major themed lands, each boasting their own exciting attractions. With 80 rides & attractions you will find entertainment, adventure and excitement all in place. A place where you will bring back more than just memories. Sunway 5 Park ticket includes Water Park, amusement park, wildlife park, Extreme Park & scream park. Return to the Hotel. Afternoon is free for leisure activities. Overnight at the hotel, Kuala Lumpur. Enjoy buffet breakfast at the hotel. Then depart to Genting Highlands). Arrive Genting Highlands, located 2000 meters above sea level. (Check in at the hotel is only after 1500 hrs). Genting Highlands is the most developed hill resort in Malaysia. 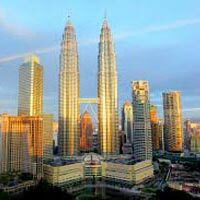 It offers a cool respite from Malaysia's capital city combined with all of the excitement, luxury, and entertainment of an international resort destination. As you reach Genting Highlands, proceed to Snow world in First World Plaza, featuring a winter downtown and World Heritage concept, the breathtaking view of the entire surrounding will be a great place for photo shooting. Later visit the amazing Snow World. Here You will surely cherish every single moment that you spend here. Then back to Kuala Lumpur Hotel. Enjoy buffet breakfast at the hotel. Check Out of the hotel by noon.You will be met by our local representative at your hotel lobby for your transfer to KL International Airport for your onwards flight.